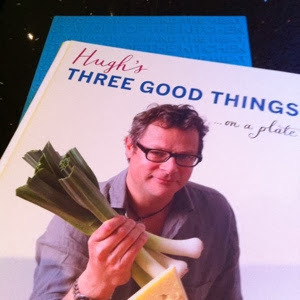 I love a bit of Hugh and am a big River Cottage fan and have even managed to get MOH to the Canteen in Axminster. Yes, it's a long way from South London, but not so far if you're visiting family in Devon. I had a pheasant in the freezer - a bit of a whopper at 1kg - I also had some pancetta in there too (sometimes I amaze even myself!) but I was lacking prunes. So were our local M&S, but luckily our local green grocers have started to stock fresh dates and as luck would have it, prunes! Anyway, tonight was the night. 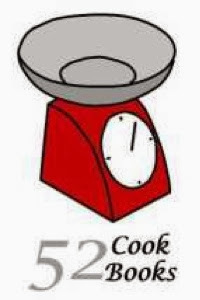 As well as the three star ingredients there are onions, garlic and thyme, some brandy as well as white wine and water. I substituted the wine with Vermouth and chicken stock as we're not big white wine people and it didn't seem worth opening a bottle just for 100ml (as I was also halving the recipe). I like to cook my pheasants upside-down as I think it helps keep the breast meat moist. 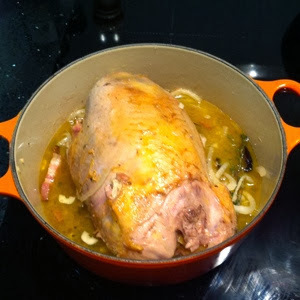 I forgot to take a picture before I took the pheasant out to carve it but you cans see how the sauce turned out. The prunes had broken down and brought a hint of sweetness. The sauce was relatively oily so I used my fat separator jug to keep most of the fat off our plates. 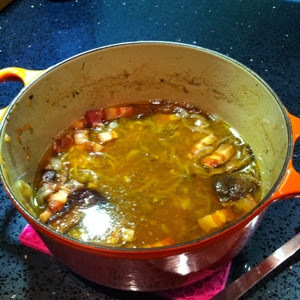 Hugh suggests serving the pheasant with mashed potatoes with the onions, bacon and prune "gravy" poured over the top. Note: no mention of green stuff, so I thought I'd try my luck this week! I loved it and would cook this again. MOH thought it was nice but thought it would be improved by the addition of some green vegetables! 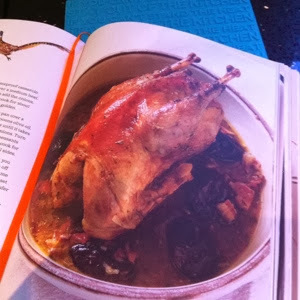 At the end of the recipe Hugh suggests this could also be made with rabbit, I think he's right! Thanks again to Mary for hosting this challenge.